A 150,000 people were standing on the bridge's roadway. It was a festivity enjoyed by all. 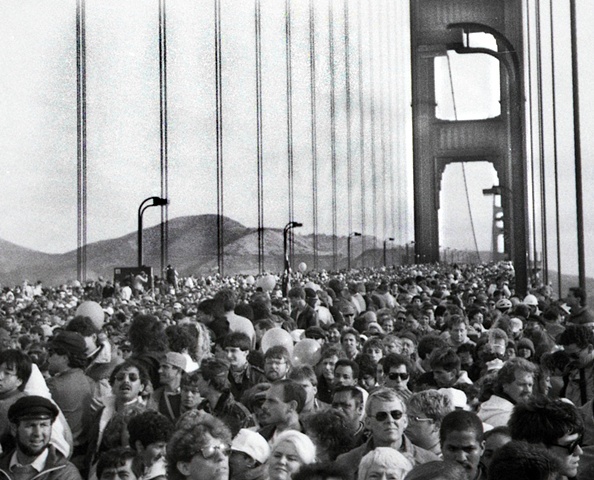 "50 year San Francisco's Golden Gate Bridge Celebration"